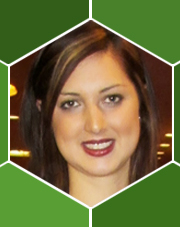 Melissa is a Registered Nurse who graduated from the University of Victoria in 2013. She has been working in the Saanich Peninsula Hospital Emergency Room ever since and is completing her emergency nursing specialty. Melissa previously served on the Board of Directors of the Canadian Nursing Students Association as the Western Regional Director in 2013. Melissa served as the Regional Director, Vancouver Island for the Association of Registered Nurses of BC from 2014-2016.